Rumors had run rampant that Payton would target the Dallas job this offseason if current Cowboys coach Jason Garrett was fired after the season. But as reported this past weekend on FOX NFL Sunday, Garrett will be returning to coach the Cowboys in 2013. Payton is now expected to man the Saints' sideline for several years, although details of the deal are not yet available. Though his 2011 contract extension was voided as a result of NFL commissioner Roger Goodell's landmark one-year suspension because of the team's alleged cash-for-hits bounty program, Saints general manager Mickey Loomis still made it a top priority to retain Payton long term. Other outlets have reported that the contract is for five years, keeping Payton in New Orleans through the 2017-2018 season; CBS has pegged the dollar amount at about $7.5 million per year—"'in the neighborhood' of Bill Belichick's contract with the Patriots." The NFL voided a deal that only ran until 2015, so it's possible that renegotiating with a clean slate actually helped the Saints retain Payton for longer. The Saints, playing without Payton on the sidelines for the first time since 2006, are 7-8 and will miss the playoffs. 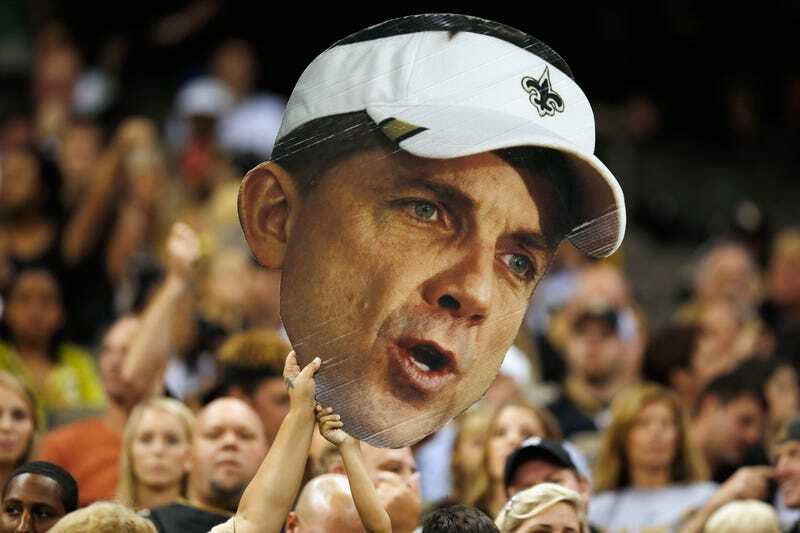 Payton is currently offensive coordinator for his son's sixth-grade football team at Liberty Christian in Argyle, TX.